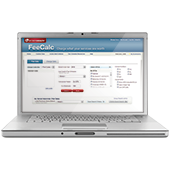 SelectCoder Now with Payer content! 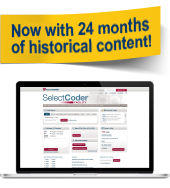 SelectCoder, now with 24 months of historical content searchable by date of service, streamlines all professional and facility coding into a single, consistent online code validation and evaluation tool. Access all content and exclusive efficiency-boosting features that get you to the correct answer, 2.5 times faster than any other tool.